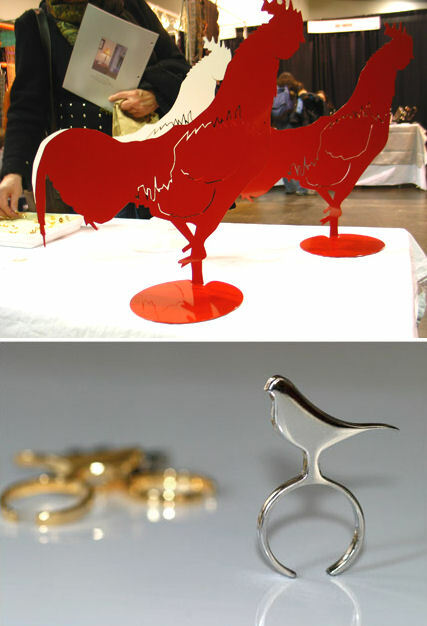 Cucumber Lab, the studio of Ben Blanc and Andrew Reed, showed up with their rings and roosters on display. It would have been great to see some of their furniture, like their chrome table with the wooden flowers from last years' collection. Oh well. It was still fun to catch a glimpse of their roosters and bling rings. Check out their complete portfolio online. I love the art of Milisa M. Galazzi, a collection of found objects that may otherwise be dubbed mundane, are created into works of art. (I lingered at this booth for a long time.) Milisa feels that the skills of mothers and wives, sewing, quilting, knitting, etc. are often considered as mere domestic chores, perhaps crafts, but never works of art. Milisa tries to elevate conventional women's work to that of fine art. (High five!) 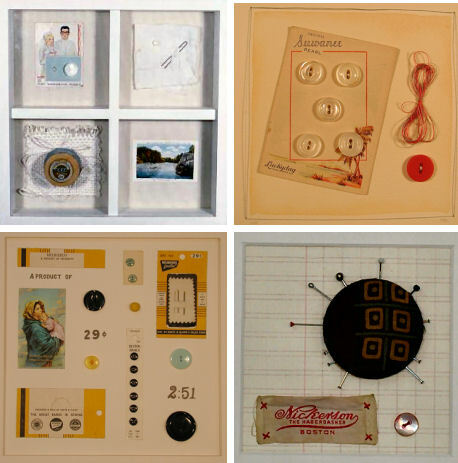 I appreciated the simplicity of her format - a simple square centered in a frame, and inside, a stitch or two, a button, perhaps a small quilting block... I appreciated the balance of her spontaneous compositions. Figs + Ginger has simple, yet striking jewelry that is either forged, sewn, or soldered by hand. I really liked their birdie rings. Cute. The necklaces could be easily worn with a white tee and jeans for a casual look, or paired with a black dress for an evening look. I love jewelry that is not only affordable, but doesn't take itself too seriously. It can perform double duty, making it a sought-after choice for taking your look from office to evening. Then, there's Asya Palatova of Gleena and her handmade ceramics, which gets high scores from me. Sculptural, fluid tableware that would almost steal center stage from your cooking. Pretty vases, too. Botanicals, shells, lots of natural curiosities in blue, cream, pale orange. 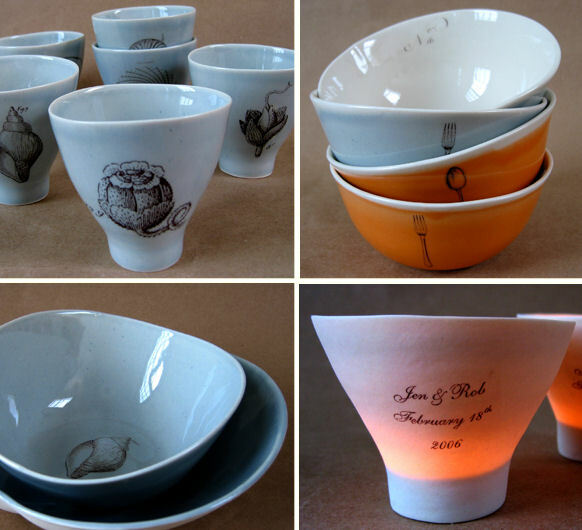 I liked the translucent porcelain votives, personalized for a wedding date or any special day. How sweet. 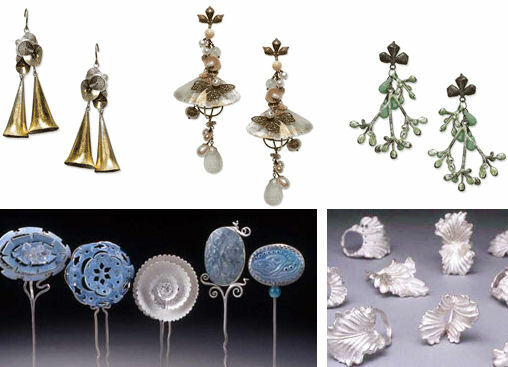 Amie Louise Plante creates contemporary art jewelry that, in person, is to die for. I love the botanical theme, the organic shapes are stunning. Unfortunately, her website does no justice to her creations (sorry Amie! ), and I have no snapshots to prove how amazingly intricate and gorgeous her work is, but take it from me, it's as unique as it is beautiful and affordable. Many necklaces that I fell in love with priced at around $100 USD. I'm sure you can contact her via her website for high res photos or information on where her creations are sold. 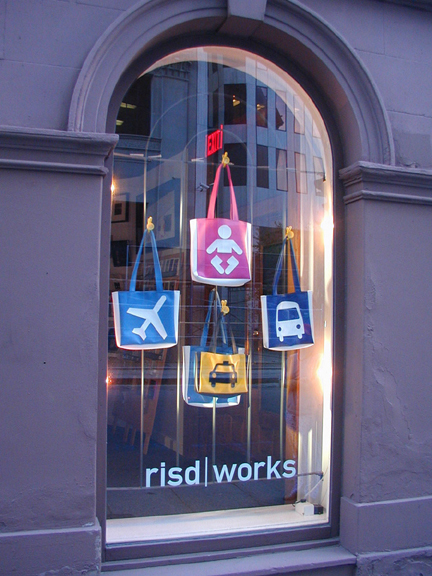 Nam Kim's booth was packed with eager shoppers, and for good reason, her stylish totes would stop any passerby. "Where did you get THAT bag? ", would be a question you'd need to answer often if you hopped around town in a Nam Kim. 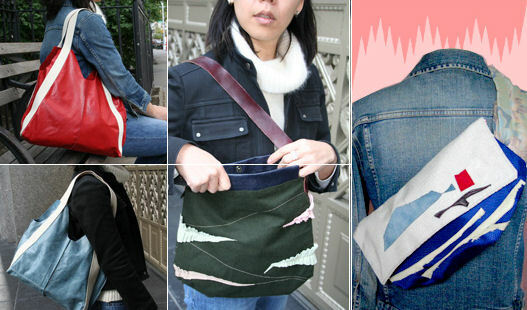 These were seriously so cool, very urban, and the fanny packs and clutches rocked. I love handbags, but I've nearly had it with the handmade handbag craze that is sweeping fairs and shows all over, but these didn't feel like anything I'd ever seen and that was what made her bags so refreshing. A few illustrators at the show caught my eye, one is the author and illustrator of several children's books, and Charlottesville, Virginia native, Anna Alter. 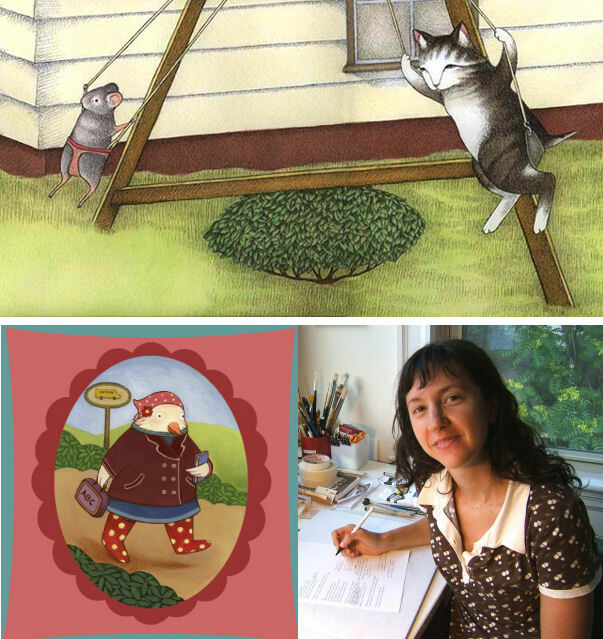 In addition to writing and illustrating, the now Boston-based Anna teaches art classes to kids, visits schools to give lectures, and her original paintings are frequently shown in various venues in the region. Here's Anna in her studio. Another talent, Grace Lin, had her prints and books on display. 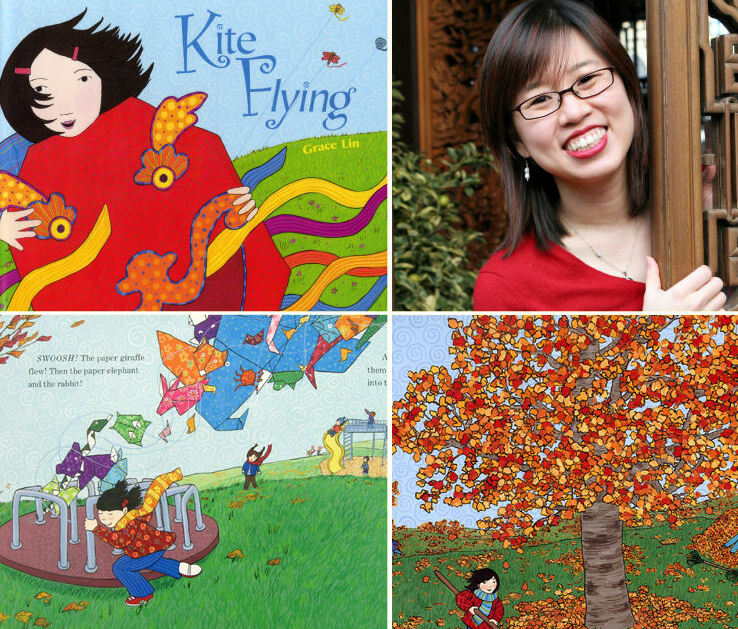 Radiant with Chinese colors and patterns, the punchy colors and playful drawings really appealed to me because they were so bright and the stories spoke of traditional Chinese culture through modern, universal language and illustrations. Beautiful. Visit her website for more information. And finally, here's a great find from PIPS, who creates these great ceramic vessels using their favorite photographs. I loved the colors, each had a beautiful interior of aqua, orange, yellow, and some had these perky yellow rims, too. I loved touching them, some where smooth, others a bit grainy, and no two were alike. That was the best part. They don't show these on their website (rats! ), so I snapped a few images from my own home for you to see (click on it to enlarge). At $20 each, they were also inexpensive - and would make great gifts, too! In closing, I have to mention that my friend, Peggy Lo from Figments, had a booth that I wish I could talk about but sadly, I didn't bring my camera so I couldn't snap a photo (I'm sorry, Peggy!). I wanted to mention her though since I loved her handmade birds and things at the booth... After the show, I popped over to her store on Westminster to shop for gifts and hung out with Vikki. If you're ever in Providence, don't miss Figments. I've written about it a few times here already on decor8, but there's nothing like actually visiting this special store. 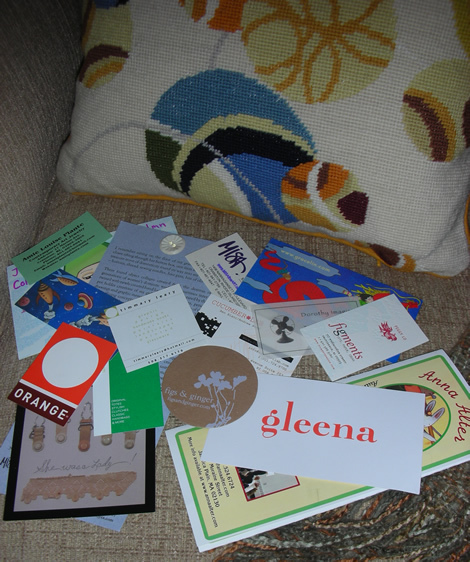 Hope you enjoyed the He Says/She Says RISD show review. See you tomorrow!